You will get to know what table games were played since the ancient Egypt till the 19th century. Also you will be introduced to Lithuanian table games and will participate in playing them. Everyone can look closely and touch the authentic table games made using the old technologies. The session will be finished with the tournament of the game “Kvirkatas” (Alquerque). Price: 100 EUR for a group (VAT not included). 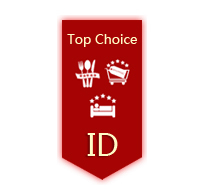 This is the great theme for colleague, family or friends party. The participants will be invited to travel together with the Vikings through the world of the Table games. Vikings were famous not only for being good raiders, but also for being good travelers. After all, they were the first ones who went to North America, visited Italy, North Africa, were the frequent guests in Asia. While travelling with the Vikings you will be introduced to the ancient table games of different places. You will be briefly introduced to the history of well known drafts, chess, and backgammon, as well as not so well known rare table games. During the party you will know where and how the wings of game "Mill" were spinning, on which island the duel of "Fox and Geese" was born. Also you will learn a very strange Lithuanian word “Kvirkatas”. The meaning of this word will be revealed at the party. The participants will have a great opportunity not only to play table games, but also to practice their sleight of hand by throwing sheep bones and to compete in active games, which were organized by the Vikings during the boring drift at the sea and were played at home. Many funny, humorous and exciting moments are guaranteed for you! The culmination of the evening will be the tournament of the game “Kvirkatas” (also known as Alquerque), during which the most intelligent player will be elected. 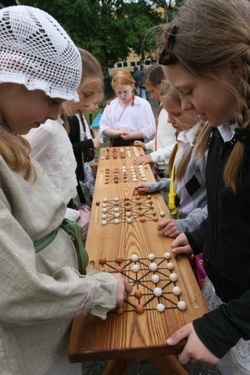 "Kvirkatas" (Alquerque) game was known in Medieval Lithuania, as well. 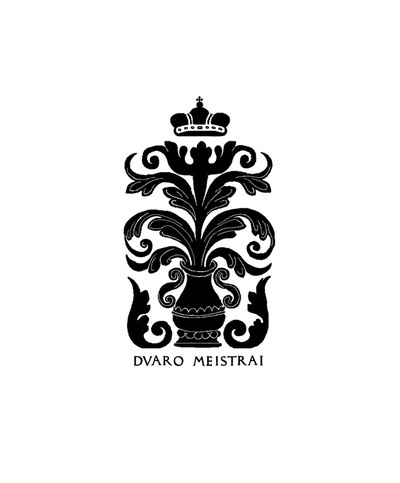 Archaeologists found the board of this game during the excavations of the Palace of the Grand Dukes of Lithuania in 2007. This board was carved on the lid of a wooden cask. Duration of the event: 1,5 – 2h. The event is for: both children (from 7 years old) and adults. Price: negotiable (about 150 EUR (VAT not included)).